Really loved it. The space is clean, the staff inviting, and I am very sore this morning. Amazing work out. Great instruction for beginners as well. Loved it and will be back!! Wonderful workout! Be ready to feel the burn!! Clean studio, friendly staff, and a difficult but rewarding class. Great workout! the machines are not too hard to grasp the functionality. Really great workout for control in your exercise. Beautiful facility. The instructor was great. I was a total rookie and she was able to manage my awkwardness without slowing down the others in the class. I definitely got a great workout! It took one class to really get comfortable using the megaformer machine, but after that I got a great, challenging workout from my btone classes. I love btone - I’m hooked and go all the time now! The class was intense! I definitely should have done an intro class before jumping in. Very enjoyable, great burn! Great studio in the north end and great instructor! BTone is awesome! it's low-impact but intense! the instructors are all really patient and helpful and the moves are easy to follow, but work so many muscles. Instructor was very friendly, helpful and attentive. Place was clean and modern looking. The classes were challenging, but several modifications were offered for various movements. All three classes incorporated different exercises, so it keeps you on your feet! Love btone. Such a good workout!! I had a great time trying my first class and will definitely be back! I felt very welcomed, and as a first-timer, I felt that the class was tailored to me. Awesome classes! Very unique, tough work out, and very friendly and helpful instructor. Love it. It was a great workout! Works every tiny muscle in your body. Haven't gone yet, but it's exactly what I was looking for! Thanks! 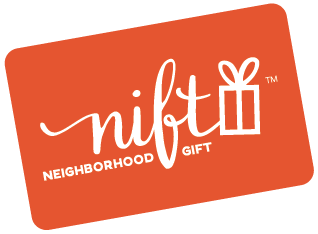 so far i have gotten three nift coupons for three different place around Boston that i typically wouldn't try. One was to the blackmor which i loved and now live near. Another a liquor store which i mean how could you go wrong with that! The last btone i have been wanting to try but didn't want to spend the money seeing as i already belong to the equinox and its two hefty expenses.